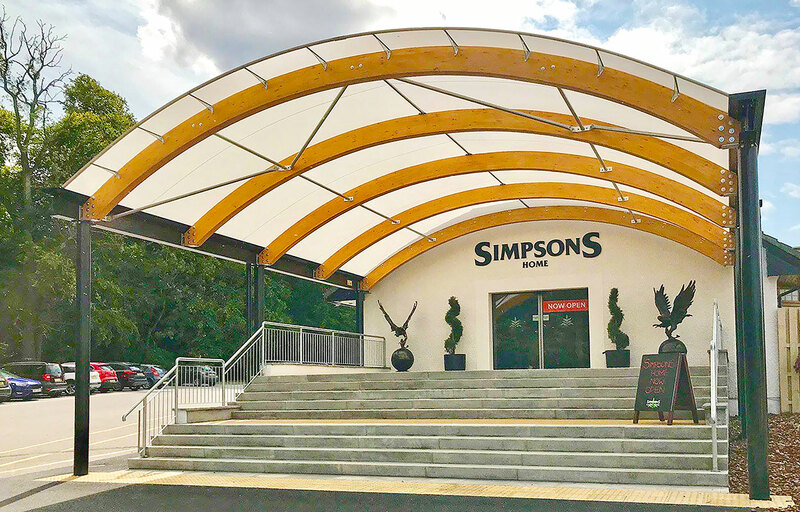 Are you looking to provide weather protected covered walkways for your customers as they walk between retail outlets at your retail park? Maybe your after protecting your stock and providing weather protection for your staff? 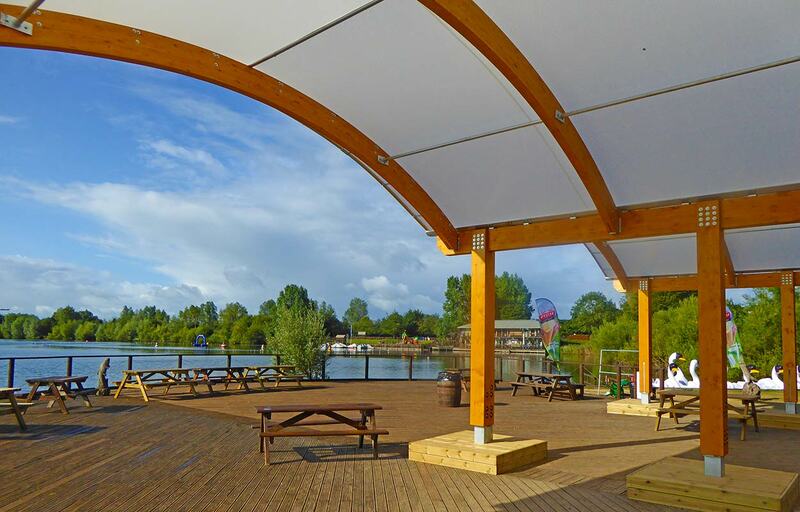 Fordingbridge can design and install retail and commercial canopies which work for your needs and environment. Mixing practicality with comfort, Fordingbridge installed an 80m steel covered walkway for the global vacuum engineering company Edwards. 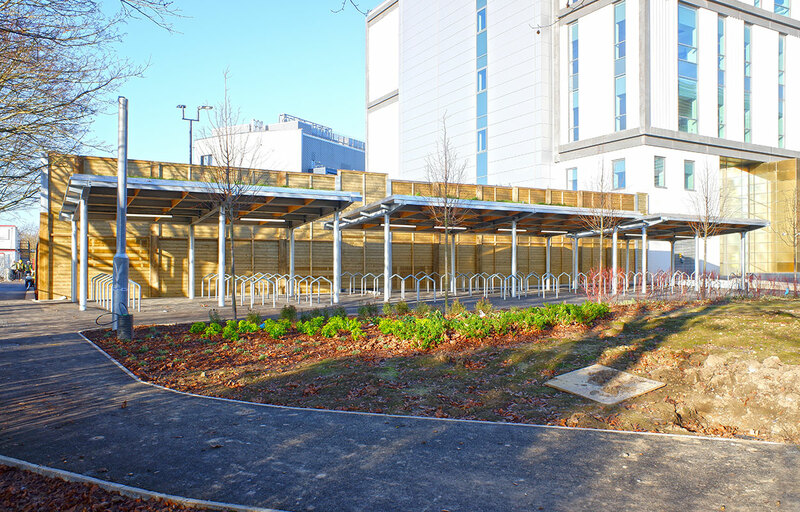 The structure ensured a safe passage for visitors and staff, whilst doubling up as motorcycle and bicycle storage at different locations under the walkway. 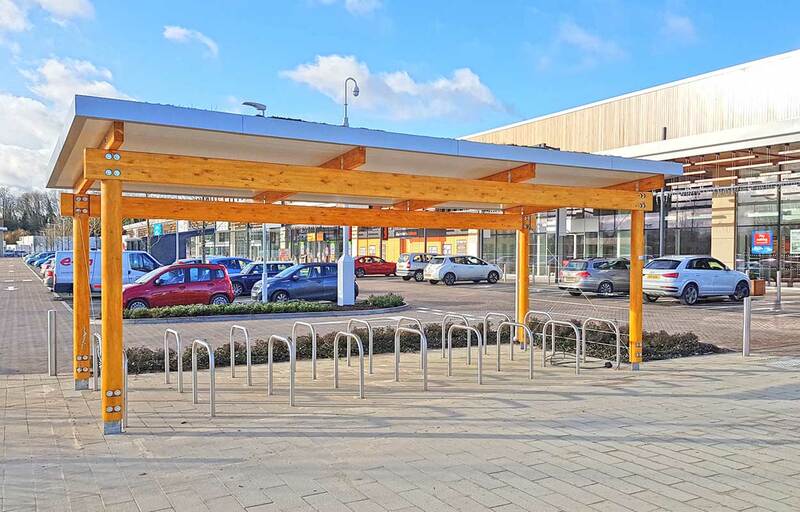 If you are encouraging a bike to work scheme, you could provide safe and secure bike storage like the example at Havant Train Station. View more information about our secure cycle shelters. Maybe you would like to add an architectural feature such as that seen on Odeon Cinema at Dickens World Leisure Development. 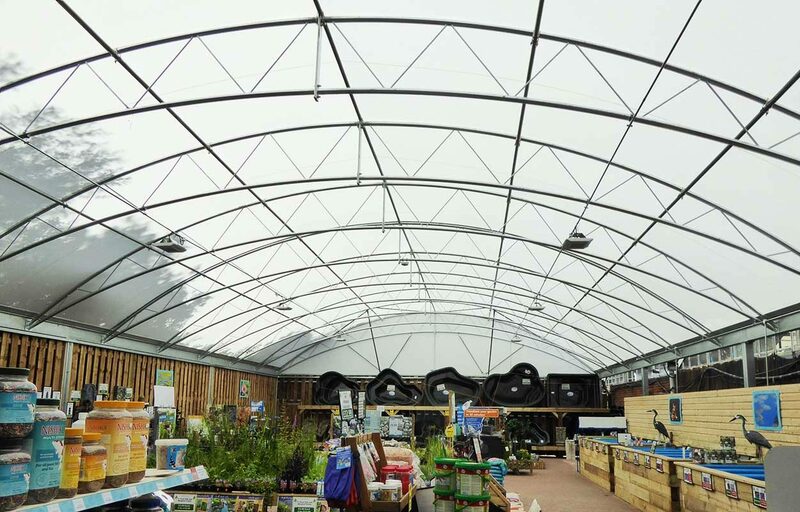 This roof mounted tension fabric canopy adds drama to an otherwise simple elevation. The same effect can be added using an entrance canopy. 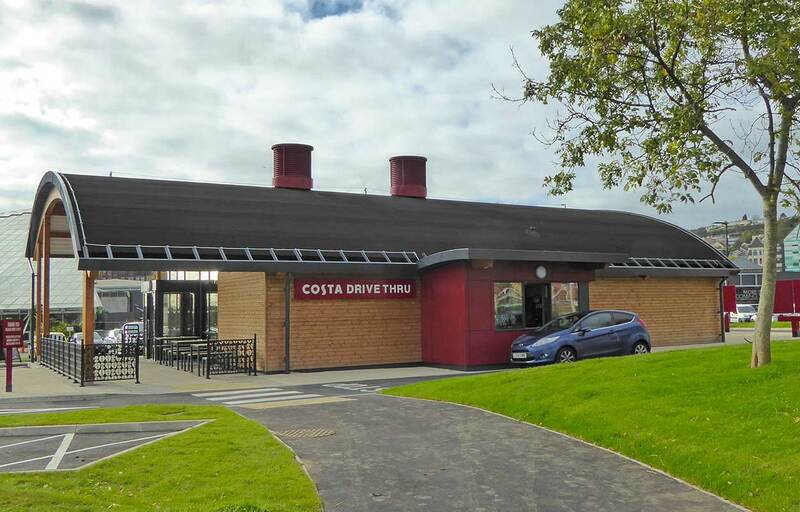 The entrance canopies help guide customers around your site, provide shelter for those entering buildings and provide an aesthetically pleasing finish to the door way. 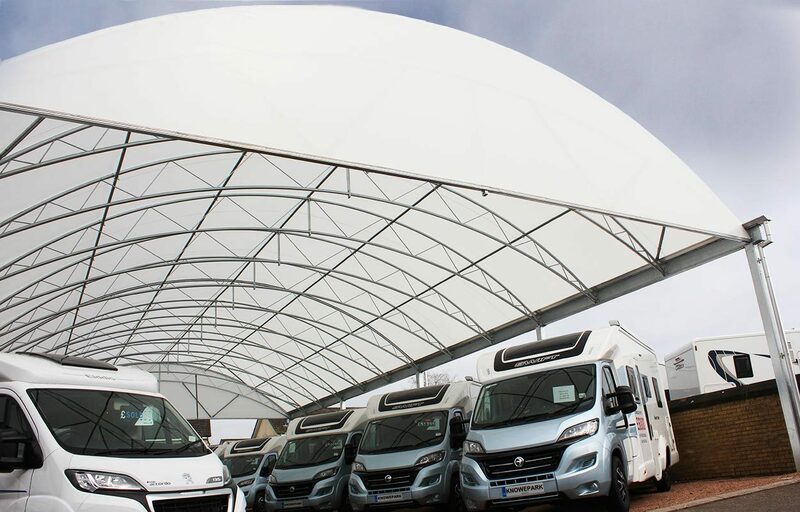 We also offer canopies for commercial space. This is not limited to retail and industry. 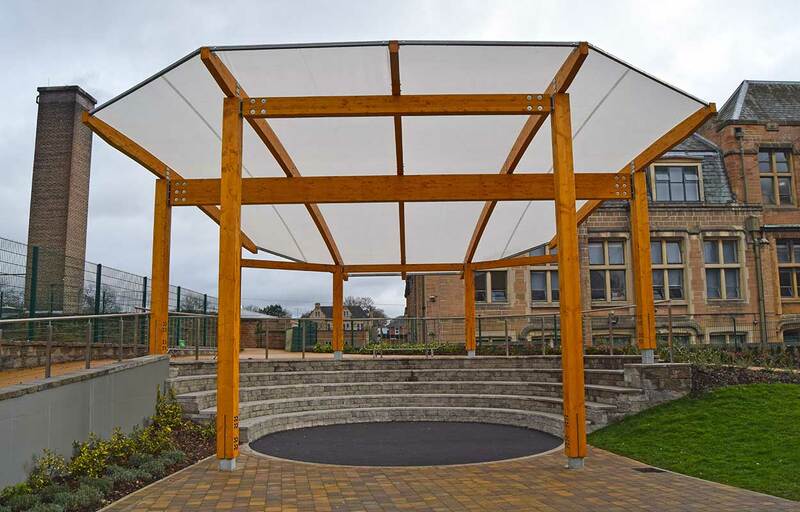 If you are a college or university, you can provide a canopy to allow students to socialise outdoors regardless of weather, as seen at EF Language School. Further information can be found on the canopies for education page. 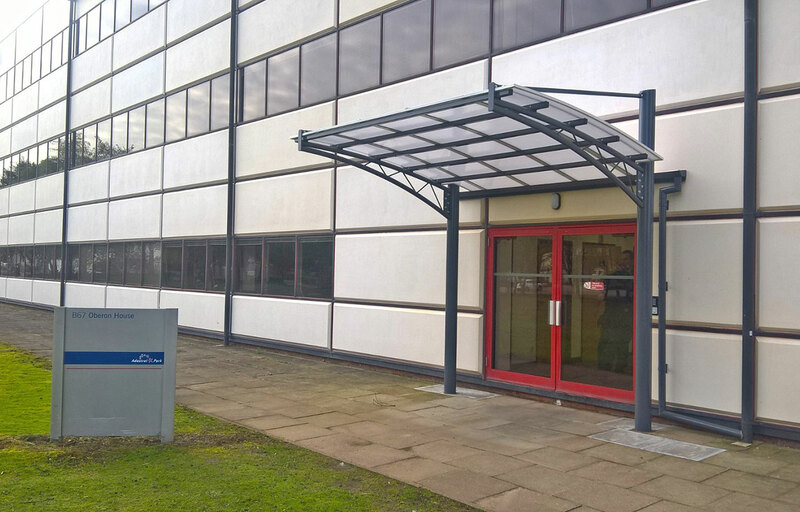 There are many practical applications at your commercial premises in which our in-house design team can adapt a canopy to any size requirement. Lorry loading bay canopies keep your stock protected from the elements and staff dry. 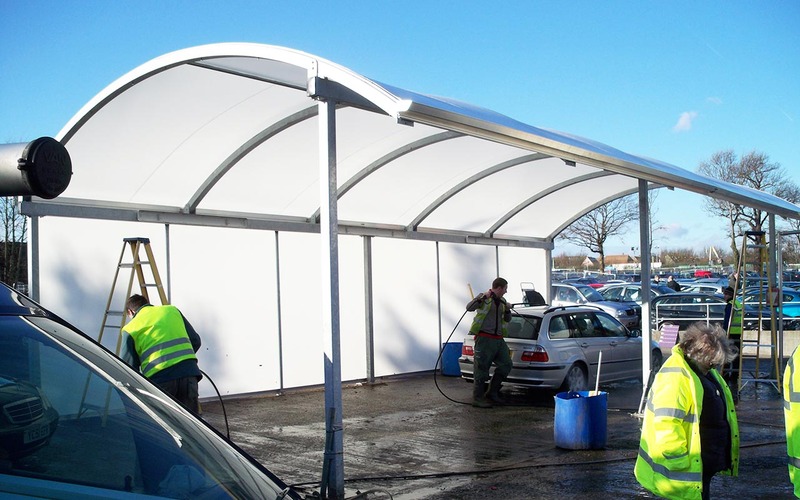 From car wash bays, to keeping customers dry at local authority recycling centres, car dealership forecourts, to loading bay canopies at warehouses or depots. Protecting your stock from weather damage will save you money. Perhaps you’re considering a new work premises out of town to save on over heads in towns? 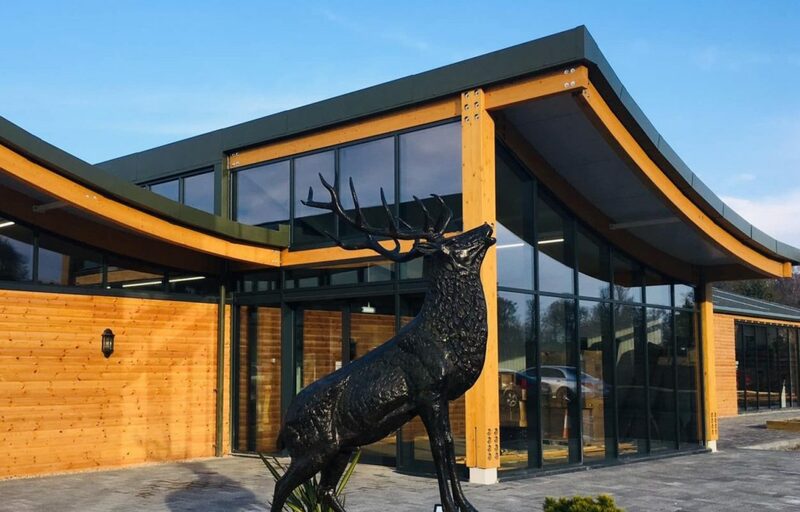 Working either from your brief or in collaboration with architects, Fordingbridge’s in-house design team will plan and construct a perfect building solution, like this building for Telford Reprographics. 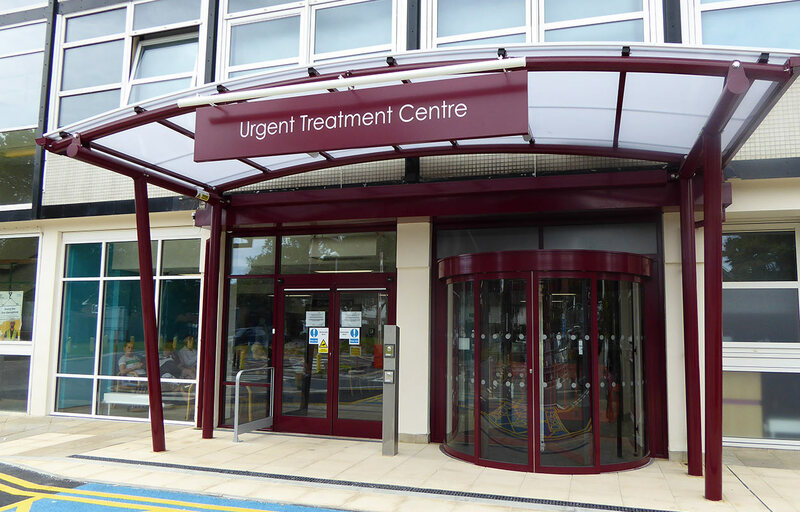 Whichever steel structure you choose, it can be polyester powder coated in all standard RAL colours which allows you to keep the structure on brand.